[POLL] How Much Time Do You Spend Job Searching Every Day? This poll was inspired by a surprising recent survey. How much time do you spend job searching every day? Yes, according to a study by Harper's Index that I heard about on the Diggings blog, American job seekers are so lazy, unmotivated and depressed that they probably spend more time daily complaining about their job search than actually doing something about it. I do think people in general spend less time job searching than they should, but the only way such a number could be that low is because it's an average of people who are spending hours job searching every day, and people who are spending no time job searching every day. So what about you: how much time do you spend job searching every day? If you liked this article, you'll enjoy [POLL RESULTS AND ANALYSIS] If You’re Looking For A Job, Did You…. 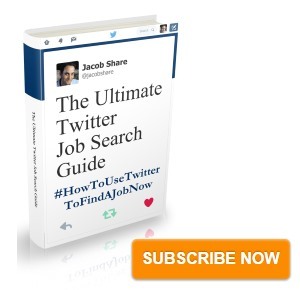 Subscribe to JobMob via RSS or email and follow me on Twitter for more surprising job search polls. [POLL] How Much Time Do You Spend Job Searching Every Day? : This poll was inspired by a surprising recent survey. That is not a real job search. That is a hobby. Actually, we spend more time on our hobbies than that. I wrote a blog post about how a 10 hour a week job search was completely insufficient, which got a lot of passionate commentary – you can see it here. .-= Jason Alba´s last blog article was Upgrades to JibberJobber from Last Week =-. I really don’t think it has anything to do with being lazy. Job searching is simply put, bad for the soul! One spends hours in front of the computer, applying for any and everything that one feels that one could possibly manage to do. With the full knowledge that every job you apply for has received another 100-200 applications. You tell yourself that you are multi-talented, great and would be an asset to any company or organisation. But every day it becomes harder to believe…You volunteer somewhere, or go visit friends at work and you notice how few really dedicated people there are out there. How many people slack off, spend hours on facebook, twitter, their phone etc – yet they have a job and a salary and you feel totally unemployable!!!! There are times when you decide that for your mental health and for the wellbeing of your familoy and realtionships, you need to stay away from the job search for a few hours, a day or so… all the while knowing that that is unproductive. Ah!! So there you are again- Murphy’s law!!! 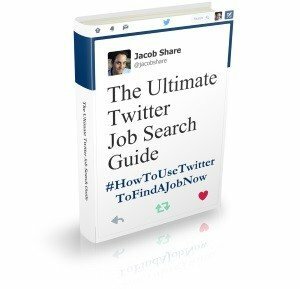 This post was mentioned on Twitter by salivates: [POLL] How Much Time Do You Spend Job Searching Every Day? : This poll was inspired by a surprising recent survey. Job searching is an endless daily task, which for the most part, is unproductive, as the results are basically the same day in & day out. Its tiresome and frustrating to continually search for jobs that only turn out to be a hoax, want you to pay to work for them, or are wanting you to have more degrees than a University even has; yet offer you minimum wage with a multitude of duties. I don’t think that the majority of people are lazy, I think they are fed up with the constant dead-end they keep running up against. Hmmm. Lazy? I work with many clients from across the US and they’re certainly not lazy. They have a lifestyle that they must be able support and are doing everything to find a job. There are some job seekers who simply do not have a good job search strategy. And, if they’re just posting their resume to online job sites, they are missing plenty of opportunities. I wonder how many job seekers realize that if they have no job, their top priority is to find a job. In essence, their job is to find a job. .-= Patricia Erickson´s last blog ..Writing A Good Resume And What Not To Do =-. Next Post[POLL RESULTS AND ANALYSIS] How Much Time Do You Spend Job Searching Every Day?